No one loves Japan more than the locals. While there are always nearly as many Japanese tourists checked into your hotel with you as there are foreign visitors, there are a few peak seasons of domestic travel you may want to plan your Japan tours around. These are weeks where everyone in Japan seems to be on the road. Hotel rates are likely to spike during these times as well, so planning your trip around these dates will also save you money. The dates around New Years, from December 27th to January 4th, are always fully booked far in advance for most hotels and lodges. The hatsumode tradition sees locals paying the year’s first visits to temples and shrines. In addition to that, rushing to the big cities for New Year’s growing firework spectacles has become more and more popular. There are also mass closures during this time in many of Japan’s more popular tourist destinations, such as castles, gardens and temples. Golden Week is a short holiday season that runs from the end of April to early May. Four of the most popular national holidays are all stuffed into about seven days, including the late Emperor Showa’s birthday, Constitution Day, Greenery Day, and Children’s Day. So many locals are moving to/from large urban centers during these times, it might be best to avoid the time altogether. Obon is an annual Buddhist tradition wherein Japanese return to their ancestral homelands within Japan. The event is marked with small festivals, traditional dances, and family reunions. On the other hand, if you’re willing to pay the premium of higher hotel rates during this time, and book your rooms a few months in advance, this is a beautiful tradition to witness and be a part of. A lot of destinations divide their year between rainy/dry seasons, or summer/winter. Japan has four very distinct seasons that define your trip. In the winter, snow falls throughout most of the country, especially in the mountain regions. Winter festivals are common in mountain villages and on Hokkaido island in the north. Japan’s Alps have the world’s most plentiful snowfall, so winter time sees travelers flocking to ski resorts to shred the fresh powder. Spring is most notable for the shorter cherry blossom season. The exact dates of this season are always forecasted with great anticipation, as they mysteriously shift every year. 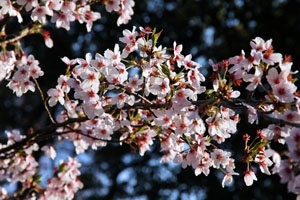 You can expect cherry blossoms to generally be in full bloom from late March to early April, however. While all of spring is a wonderful time to be in Japan, late April is always a little more busy (and expensive) for this reason. 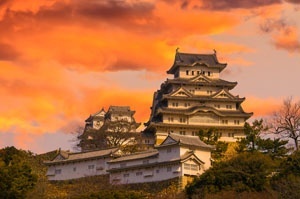 Maybe the most popular time of the year to visit Japan is during the summer, when the skies clear up beautifully, and weather is mostly clear. As temperatures rise, the southern islands, including Okinawa, become great options. Summer is also the only time of year when climbing the summit of Mt Fuji is allowed (specifically the months of July and August). The autumn sees a riot of color throughout the mountains, as leaves change from green to bright oranges and reds. Some harvest festivals are held in the smaller mountain towns, and locals take day trips to view the changes. Japan needs little excuse to host a few hundred festivals every year. The culture of food and drink, music and dancing, and general merriment is strong on the islands. There are very popular city festivals, such as Gion Matsuri in Kyoto on July 17th, and the Takayama Festival held twice annually on April 14-15, and October 9-10. But if you want to get a little crazy and find some more unique festivals, we might recommend the not often talked about Yokote Kamakura Festival held in mid-February, which features thousands of small igloos holding candles, built throughout the town of Yakote. Kaze no bon is an annual festival held in the first days of September, and uniquely held for the most part at night, creating a mystical, almost creepy atmosphere. All dancers at this festival are unmarried. Do what you will with that piece of information! Lastly, for the intrepid traveler, you may want to check out Okayama city during the third Saturday of February, where the annual Saidai-ji Eyo Hadaka Matsuri, or Naked Man Festival is held. 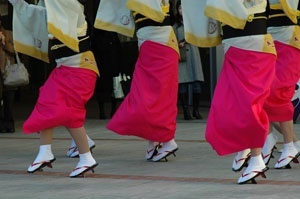 Though you may see some naked men here and there, most men adorn themselves with simple Japanese loincloths and dance together to bring themselves luck for the year!